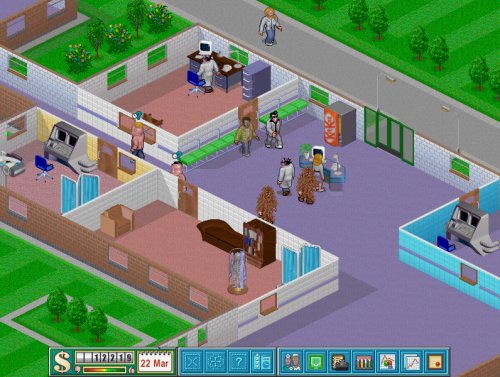 The UK games magazine games™ recently (Issue 113, Sept 2011) had a section about the development of the game “Theme Hospital”. The latter idea there seems really good, and it’d be great to see it somehow implemented in CorsixTH. Later he speaks about how Kings Sydrome was supposed to be called Elvis Impersonator, but could not be as they could not get permission from the Elvis estate. The KitKat vending machines in game were also apparently rewarded by a box of chocolate bars being sent to them. It also mentions about a Telegraph article entitled “Sick computer game used by BMA to train senior management”, although I cannot find any references to this article online. You can download scans of the article here.